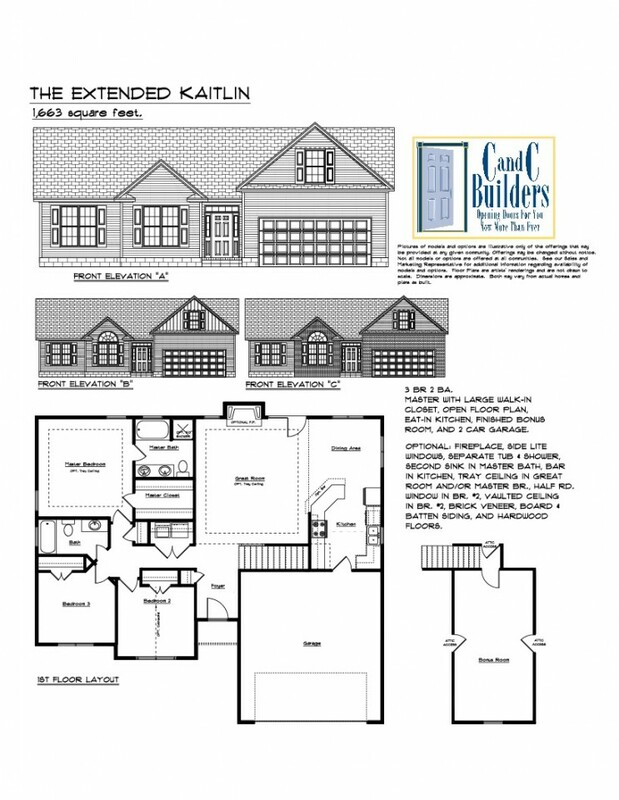 The Extended Kaitlin, 1663 sqft, 3 bedrooms, 2 baths, FROG 2 car garage, smooth ceilings, santa fe style interior doors, bronze fixture package, granite countertops, site built cabinets, and an automatic sprinkler system in the professionally landscaped front yard. 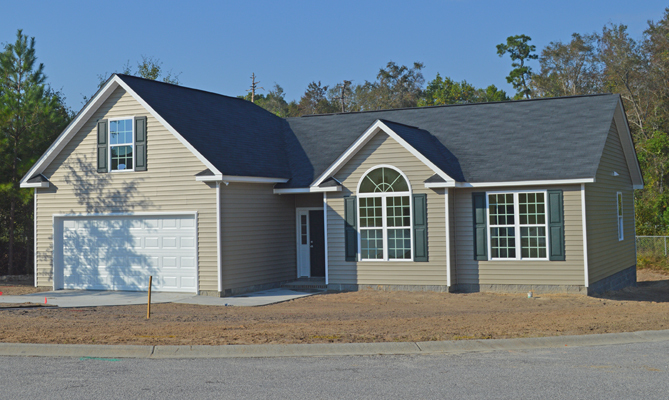 Elgin is the third name for this community located in Kershaw County 12 miles west of Camden and close to the Richland County line. As early as 1832, Mr. Jeffers operated the post office out of his home, so the town was known as Jeffers. In the 1840s, the Seaboard Railroad came through the community and soon the town's name changed to Blaney to honor an executive of the railroad company. Finally the town became Elgin in the 1960's when the Elgin Watch Company opened a plant here. Take I-20 to the Elgin exit. Turn left onto White Pond Rd. About 1/2 mile turn left onto Larry Jeffers Rd. Go about a 1/2 mile and sub-division will be on the right. Contact Diane Nevitt at 803-414-3945 for more information.